This map is from the 2002 Wa-Hi-Nasa Lodge Planbook. Black Fox District has reappeared! 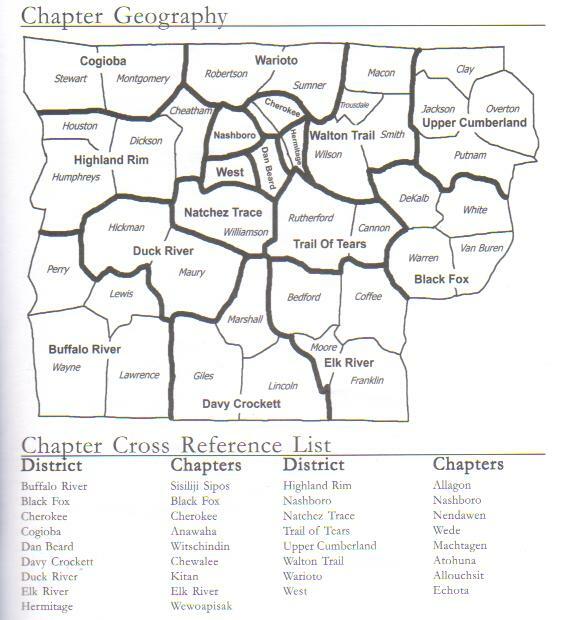 Also note that Watauga District has been absorbed by Nashboro and Cherokee Districts.